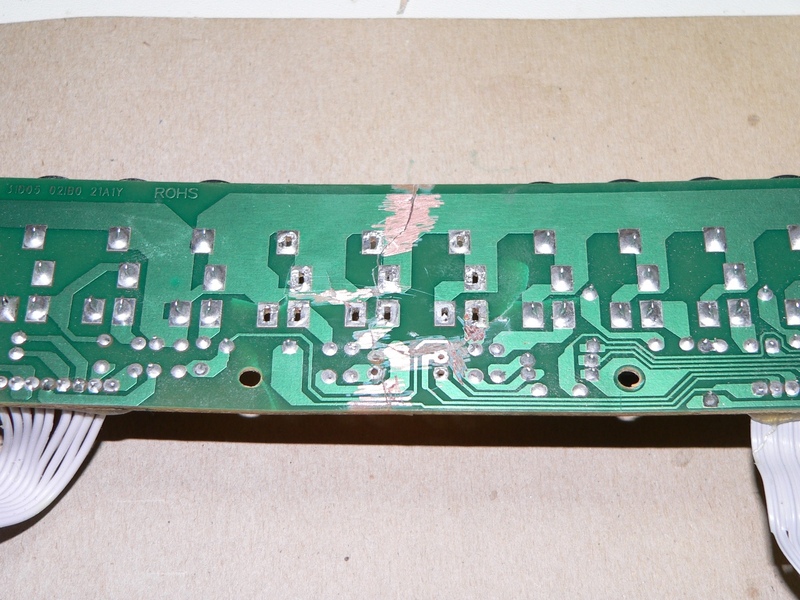 This article shows how you can perform repairs on snapped or broken PCBs. 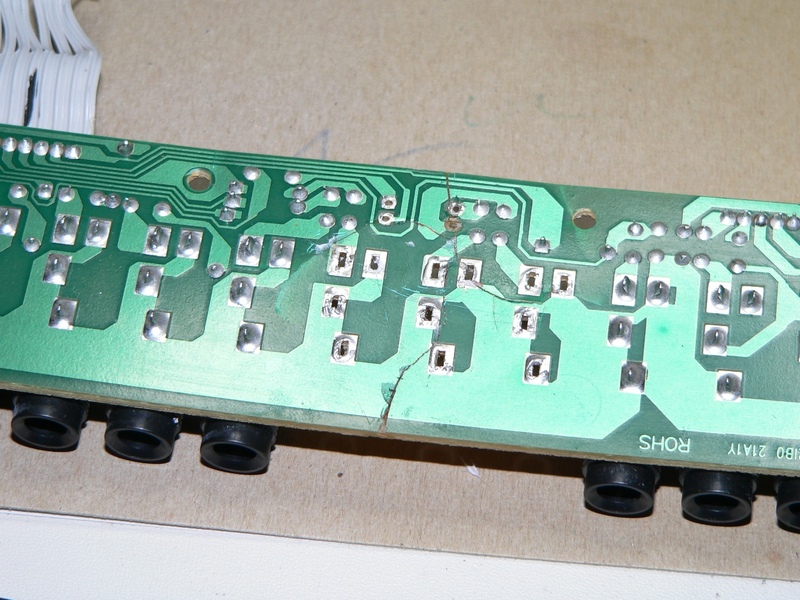 Quite often, whilst repairing old computers or other electronics, I find badly damaged PCBs. 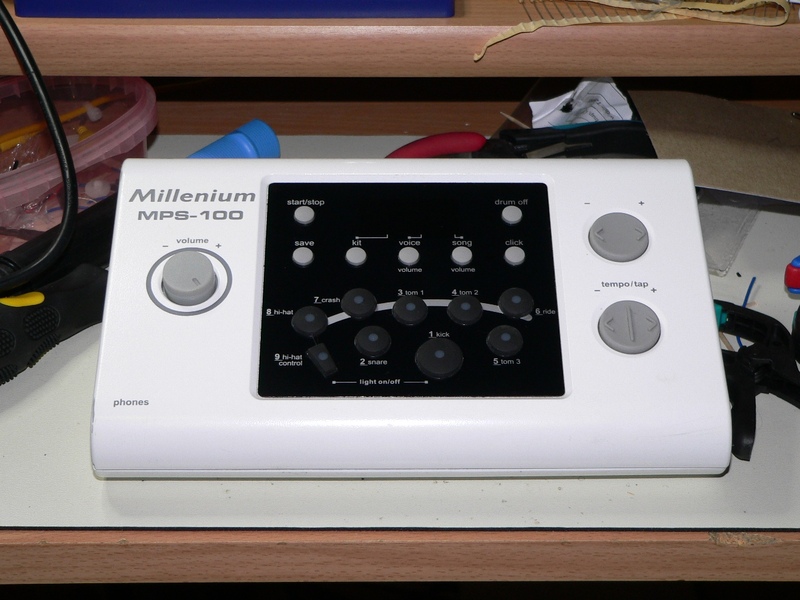 Recently my brother-in-law asked me to take a look at a head-unit from an electronic drumkit. 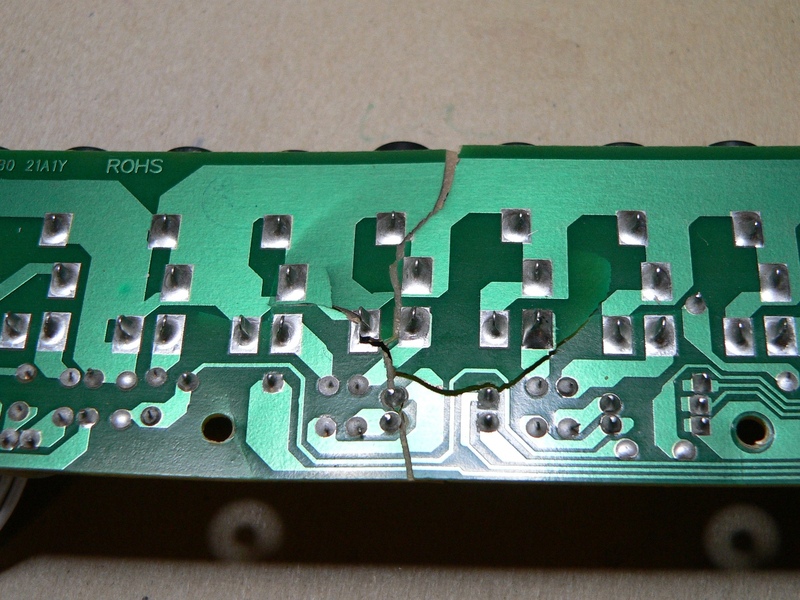 My nephew had managed to smash the mounting pole up into the unit and into one of the PCBs. 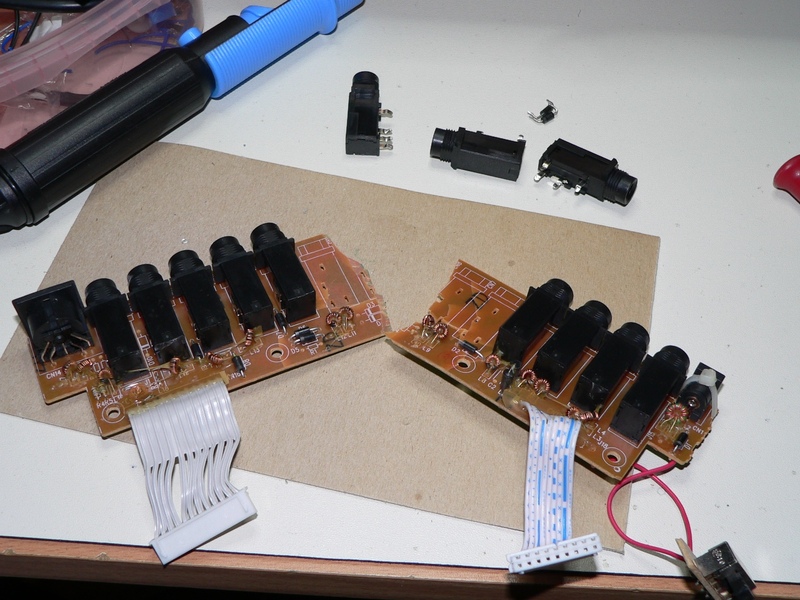 To glue the board back together you have to first mix up some epoxy (following the instructions on the packaging). Next use something small (I used wooden toothpicks) to apply the glue to both sides of the board. 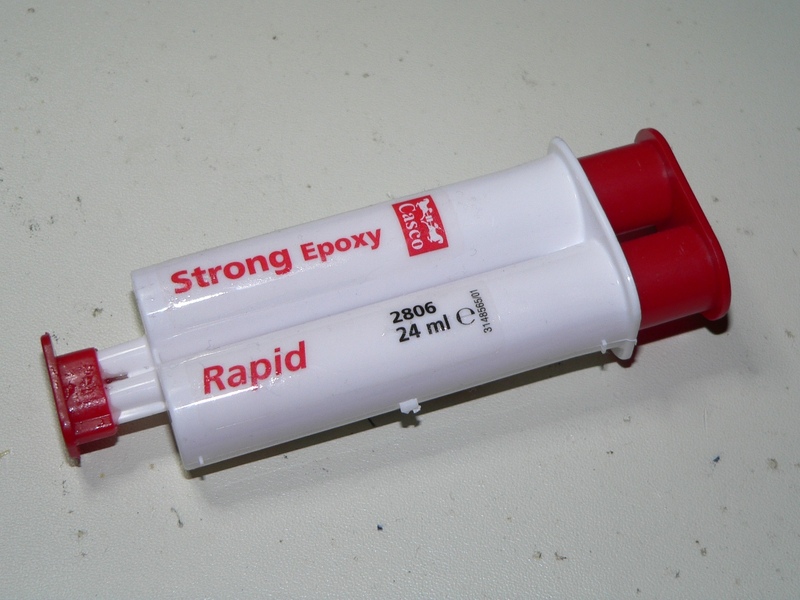 Try to get glue in all the fractures but don’t use excessive amounts. By moving the glue around with the toothpick as you apply it you can get a fairly even application. Next I wrapped the board in a small piece of paper and placed it into a hobby vice. The paper prevents the glue from sticking to the vice, if you’re not careful you will break the board even more trying to get it out. Allow at least an hour for the glue to set (or as long as the instructions for the glue specify). If you’re not in a hurry I would leave it overnight and come back to it the next day. 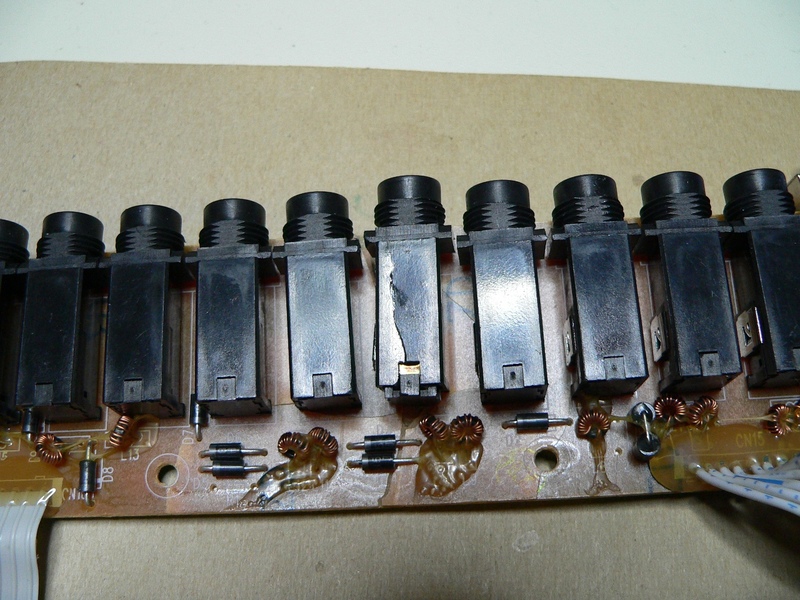 Once the glue is set take the board out of the vice and clean off as much access glue and paper as you can. You should be able to remove most of it using a small pair of pliers or another similar tool. 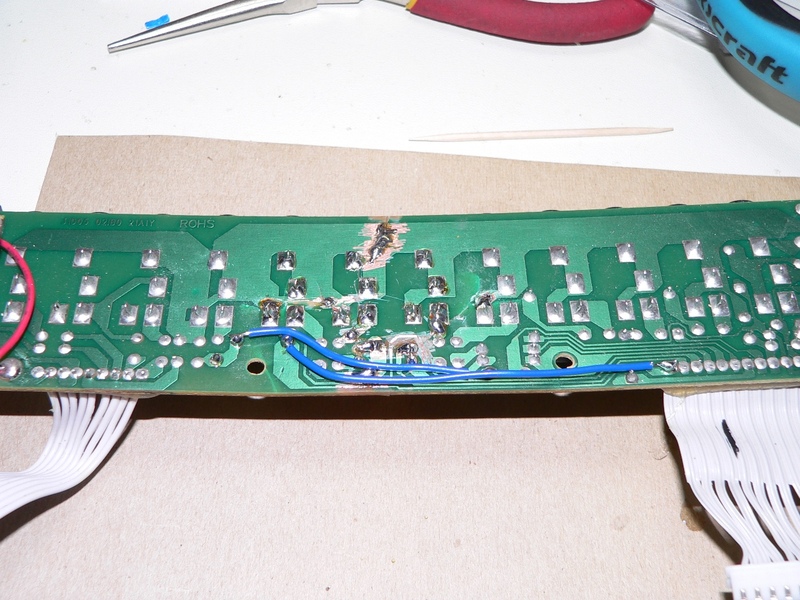 Use a drill to clear all of the component holes to ensure you can fit them back in. 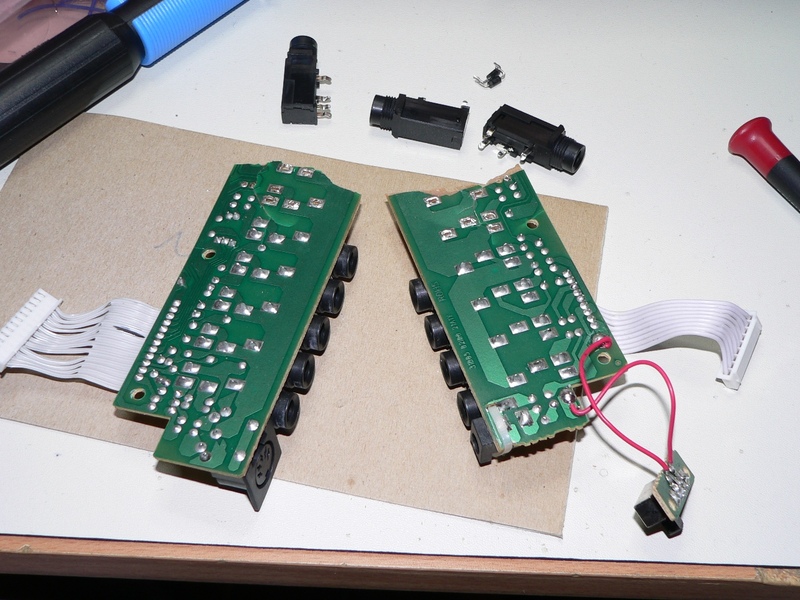 Once you are done test all of the tracks on the PCB with a continuity tester to make sure you haven’t missed anything. 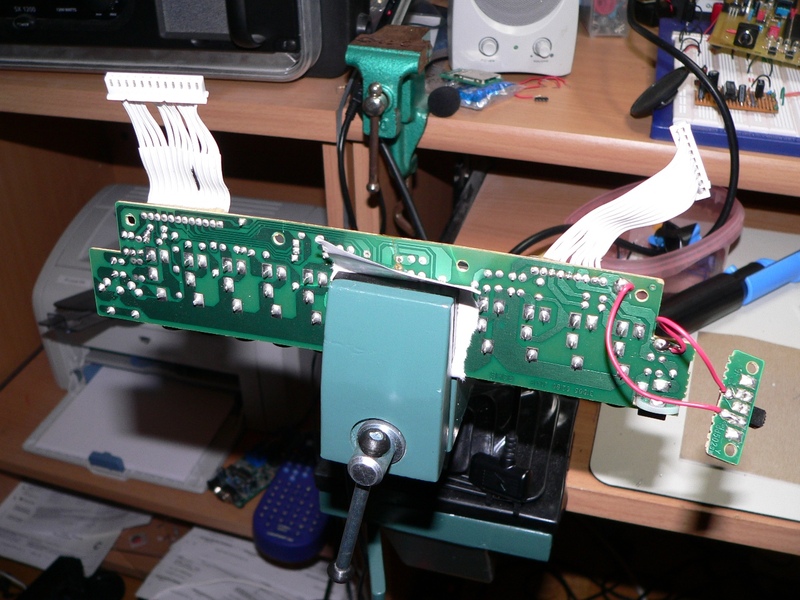 Then, when you’re happy with the testing, reassemble and try it for real. 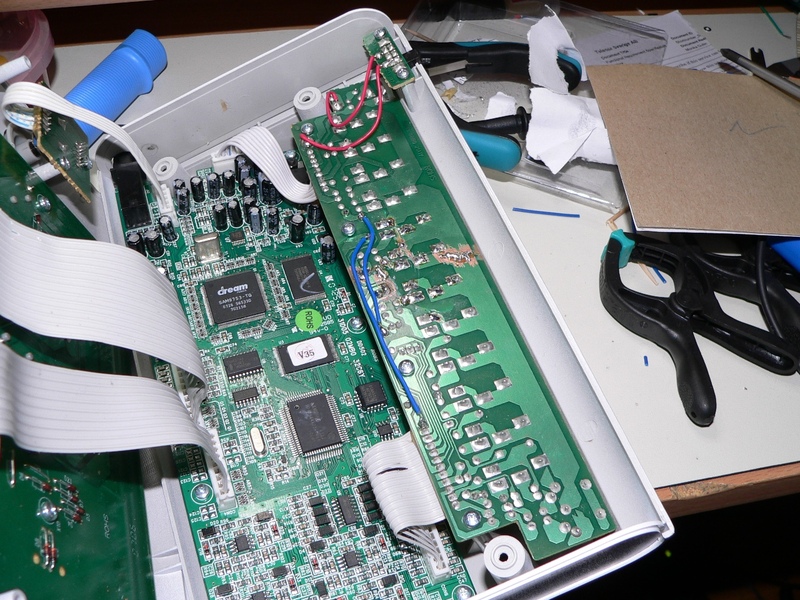 Although it’s not always possible to repair broken PCBs, it’s always worth a try… Good luck with your own projects!